Knowing a few MAT tactics can make the all the difference in your score. 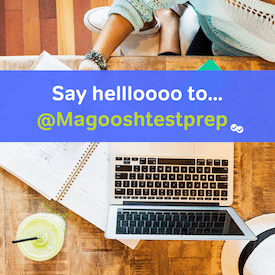 Read on the learn our top three tried and true tips to help you do your best on test day! Simply put, try to decide whether the first and third term and second and fourth term are related, or if the first and second term and the third and fourth term are related. The easiest way to do this is to compare the terms on the side of the analogy with two words filled in first. If there is no apparent relationship between the two terms on the same side, then compare the relationship between the 1:3 or 2:4, depending on what term is left blank. This tip may seem strange for a test that is all about vocabulary and the meanings of words and the relationships between them, but that is precisely why this tip is so valuable. If you come across a word you do not know the meaning or a tough analogy where you can’t seem to determine the relationship between the terms, recognizing or simply considering alternate parts of speech could be your key. Either a 1:2,3:4 or 1:3, 2:4 relationship between these words is not immediately recognizable, so we can turn to parts of speech. Can man, ship, or position be used as something other than nouns? Yes. Man can also be a verb (i.e. man the ship). Therefore the answer must be “d.” You can man a ship just like you can staff a position. Notice both man and staff are verbs and ship and position are nouns. Each analogy on the MAT contains only two parts of speech and the answer must be one of the two. You can use suffixes, or endings, to determine parts of speech. For instance, words ending in -ness or –ment indicate a noun. Check out other suffixes that provide clues to parts of speech. Remember, you do not lose any points for answering a question wrong. It is in your best interest to make an educated guess, so use the tactics in this article if you are unsure! Only by making a well-reasoned guess do you have any chance of gaining those precious points!